With just two moves, Russia may have upended the U.S. role in the Middle East. 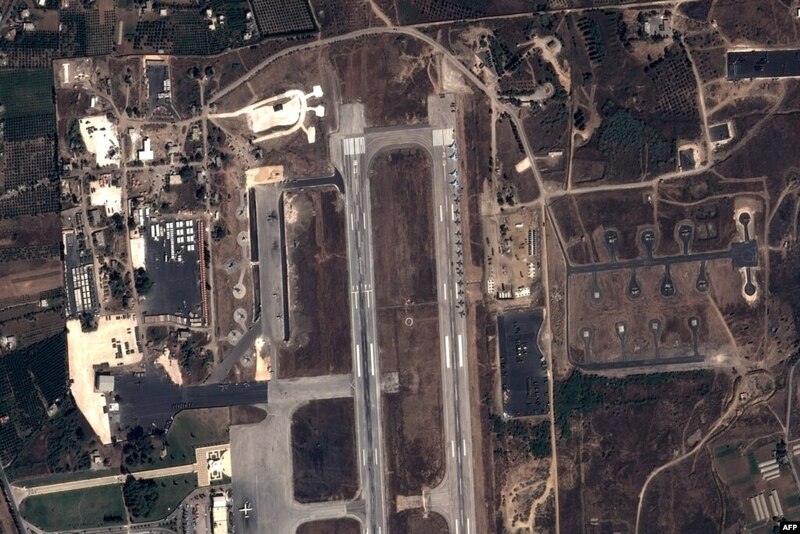 Working with its allies in Tehran and Damascus, Moscow first moved 28 attack and transport aircraft and enough housing for 2,000 troops to Latakia, Syria. Then, Moscow set up a security and intelligence-sharing cell in Baghdad, also in coordination with Iran and Syria, to fight Islamic State extremists. The result is that Russia has created a new Moscow-Tehran-Damascus axis of power in the region where it is “the only superpower willing to fight," said Michael Pregent, a visiting fellow at National Defense University. “This completely undermines and marginalizes the U.S. fight against the Islamic State and supplants any leverage we have. We are not doing a thing,” Pregent said, criticizing what he called U.S. President Barack Obama’s “slow-burn” strategy in the region. Other analysts have said that for months Washington had been losing its influence in Baghdad to neighboring Iran. Washington’s airstrike campaign also has done little to oust Islamic State militants from Iraq or Syria, and the Pentagon’s efforts to train a rebel force to fight the extremists has failed. And setting up an active base to prop up Syrian President Bashar al-Assad “has greatly increased Moscow’s leverage in the region and over the final outcome of the four-year-old civil war there,” Groll said. 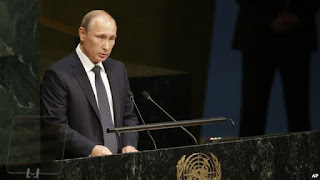 Moscow’s tactical moves have been effective, said Reva Bhalla, Stratfor Vice President for Global Analysis. “Diplomatically, Russia is definitely tarnishing the image of the U.S. Russia comes out as the problem-solver and the U.S. looks like it’s fumbling,” Bhalla said. By willingly putting military equipment on the ground with the intention to fight Islamic State extremists, Russia is sending a very clear message to the region that it is willing to be a credible partner," she said. “Whereas before ... many have looked at Russia and said 'you are just a lot of talk' – now this whole Syria situation is having everyone recheck their assumptions," Bhalla said. By inserting itself into the Syrian conflict to become an indispensable player, she added, Moscow has essentially set itself up for negotiations on other issues such as Ukraine. But the U.S. may not have compromised its objectives in the region, sticking to its longer-term, broader security goals regardless of Moscow’s maneuvers. “The U.S. objective was to take a step back, and by doing so they were freeing themselves up to focus on other major priorities, knowing that military entrenchment there is a pretty thankless effort after a while," Bhalla said. Some analysts have said the Russia-Syria-Iran alliance will also have a ripple effect on Washington’s major regional ally, Kurdistan, in northern Iraq. Kurdistan is split between two major political forces: that of the pro-West Kurdish Democratic Party (KDP) led by current Kurdistan Regional President Masood Barzani, and the pro-Iran Patriotic Union of Kurdistan and Gorran parties. That fragmentation could also quickly seep into Baghdad. On Monday, unnamed sources in Iraqi media were citing plans for a coup against the government of Haider al-Abadi in favor of his more pro-Iranian predecessor, Nouri al-Maliki. 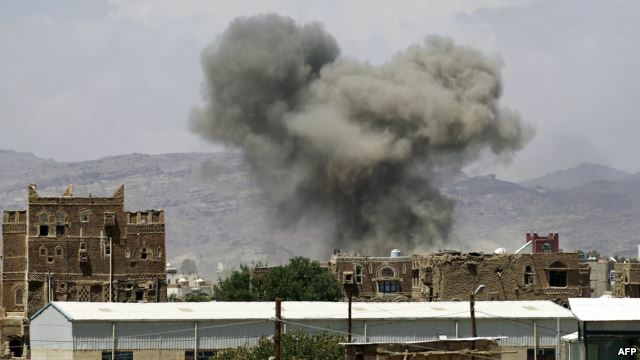 The United Nations and local medics said Tuesday the death toll from a reported airstrike on a wedding party in southwestern Yemen has risen to at least 130 people. A Saudi-led coalition that has been conducting airstrikes in Yemen targeting Houthi rebels since March denied that it was responsible for the attack Monday on the village of Wahijah. A spokesman, Brigadier-General Ahmed al-Asseri, called the allegation "totally false." Civilians have been caught in the yearlong battle that began with Houthi fighters seizing the capital, Sana'a, and then pushing south to the port city of Aden in an offensive that sent President Abd-Rabbu Mansour Hadi fleeing to Saudi Arabia. Hadi returned this month after the airstrikes and pro-government forces pushed the Houthis back from Aden. The U.N. Human Rights Office said Tuesday that as of last Thursday, 2,355 civilians had been killed in the past six months. Human rights groups have blamed both sides for killing civilians. U.N. Secretary-General Ban Ki-moon condemned Monday's attack and reiterated that there is no military solution to the conflict in Yemen. "Any intentional attack against civilians is considered a serious violation of international humanitarian law," the statement said. "Violations of international law should be investigated through prompt, effective, independent and impartial mechanisms to ensure accountability." The United Arab Emirates is introducing labor reforms that aim to tighten oversight of employment agreements for the millions of temporary migrant workers that comprise the bulk of the country's workforce, a top Emirati official said Tuesday. The reforms are being implemented through three government decrees that will take effect on Jan. 1, Minister of Labor Saqr Ghobash told journalists in the federal capital, Abu Dhabi. They focus on improving transparency of job terms and employment contracts, spell out how contracts can be broken and could make it easier for workers to switch employers. The seven-state Emirates federation is home to millions of migrant laborers, many of them from South Asia and the Philippines. At 2.6 million strong, Indians alone far outnumber the local population. Rights groups have long raised concerns about conditions for workers, including inadequate housing, low pay, the illegal confiscation of passports and limits on workers' ability to change employers. Labor unions are not allowed and strikes are illegal. Protests over working conditions do occasionally occur, however. Laborers in April set several vehicles on fire during a protest at a construction site in the north of the country following the death of one of their co-workers. That followed a protest the previous month by South Asian workers in Dubai over a pay dispute. The Emirates has faced intensified scrutiny of its labor practices in recent years, particularly as it embarked on high-profile projects such as an ambitious cultural district known as Saadiyat Island in the capital, Abu Dhabi. That project includes a New York University satellite campus and eventually will host branches of the Louvre and Guggenheim museums. The government-backed company leading the Saadiyat Island project, the Tourism Development and Investment Co., has implemented an employment policy that spells out minimum standards for contractors. It also has built a facility that is supposed to house employees working on the project and has hired an outside auditor to monitor working conditions. A February report by Human Rights Watch found that those measures did not go far enough to stop workers on the project from being exploited — findings that TDIC disputed. A separate audit commissioned by New York University's partner in Abu Dhabi found gaps in compliance with labor guidelines by some companies working on the university's campus, leading them to agree to compensate affected workers.